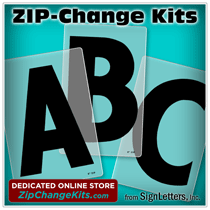 Cast Aluminum letters (Alloy #514) with stroke sanded faces and bead blasted returns. This aluminum alloy is a member of the magnesium/aluminum family. Once your aluminum letters are cast from prime ingot, sanded, blasted, and inspected, the letters are then anodized to provide a hardened protective surface. This particular magnesium alloy provides for excellent anodizing, having qualities not found in other aluminum alloys. This finish provides a rich Gold matte color along with the advantages of anodizing. This finish has stroke sanded faces and bead blasted returns, like the satin finish. Anodized finishes will not be clear coated, unless more corrosion resistance is required for installation near salt water.